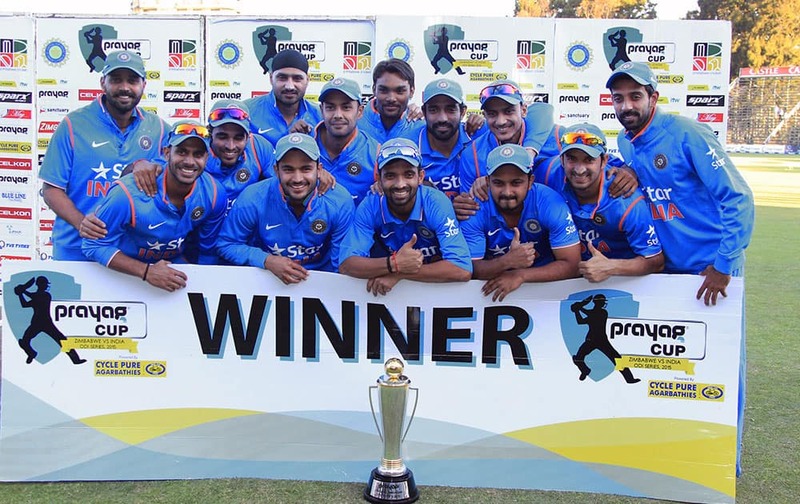 Indian cricketers pose with the trophy after they won the One Day International cricket match series against Zimbabwe in Harare, Zimbabwe. 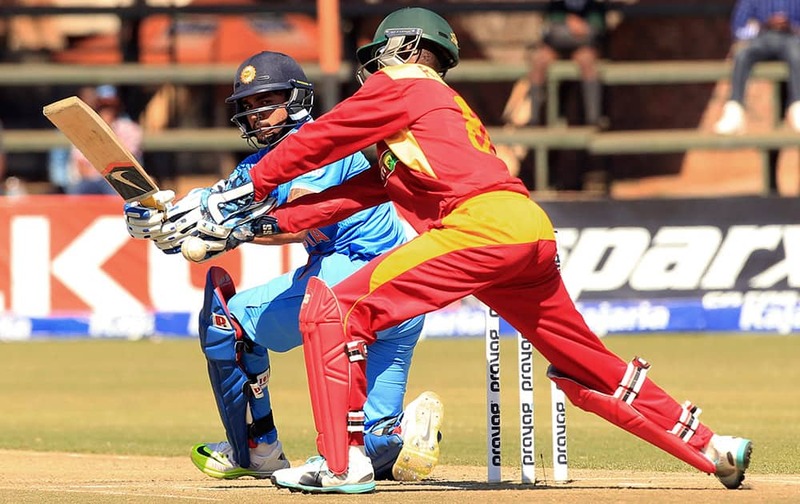 Zimbabwean batsman Regis Chakabva is bowled out during the One Day International cricket match against India in Harare, Zimbabwe. 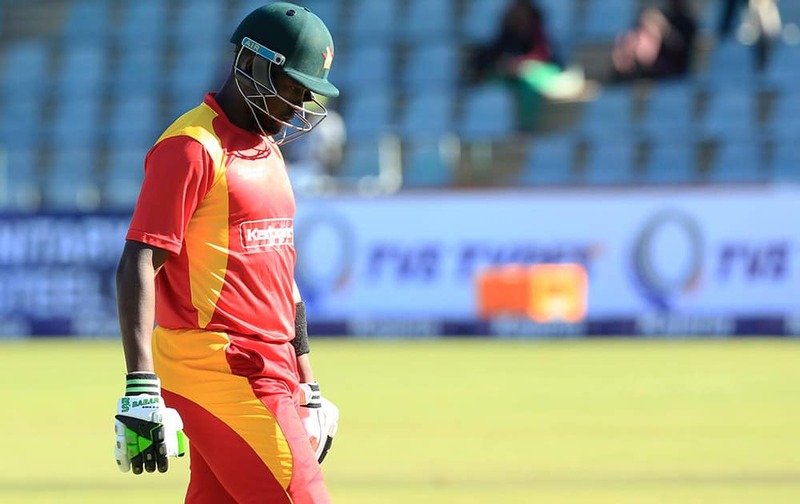 Zimbabwean captain Elon Chigumbura walks off the pitch after been dismissed during the One Day International cricket match against India in Harare, Zimbabwe. 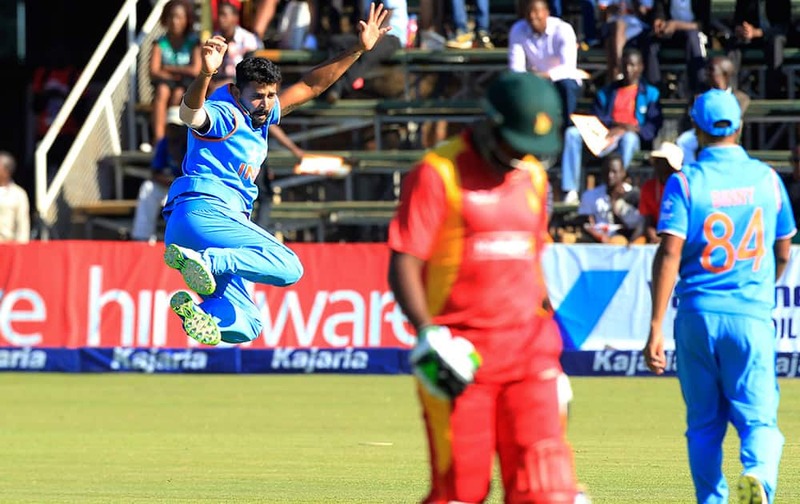 Murali Vijay celebrates the wicket of Zimbabwean batsman Regis Chakabva during their One Day International cricket match in Harare, Zimbabwe. 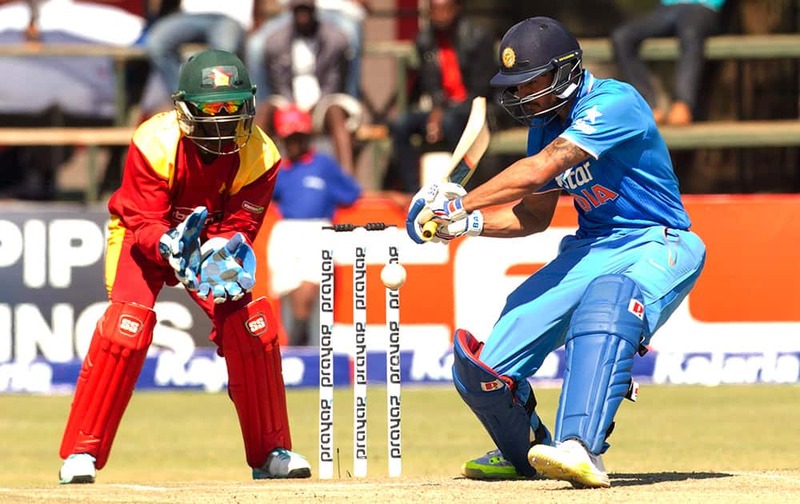 Chamunorwa Chibhabha plays a shot to Bhuveneshwar Kumar during the third One Day International cricket match against India in Harare, Zimbabwe. 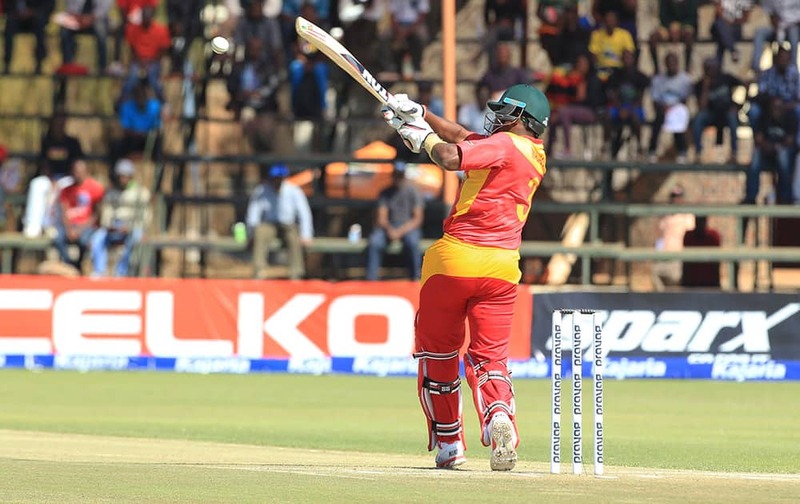 Zimbabwean batsman Hamilton Masakadza plays a shot during the third One Day International cricket match against India in Harare, Zimbabwe. 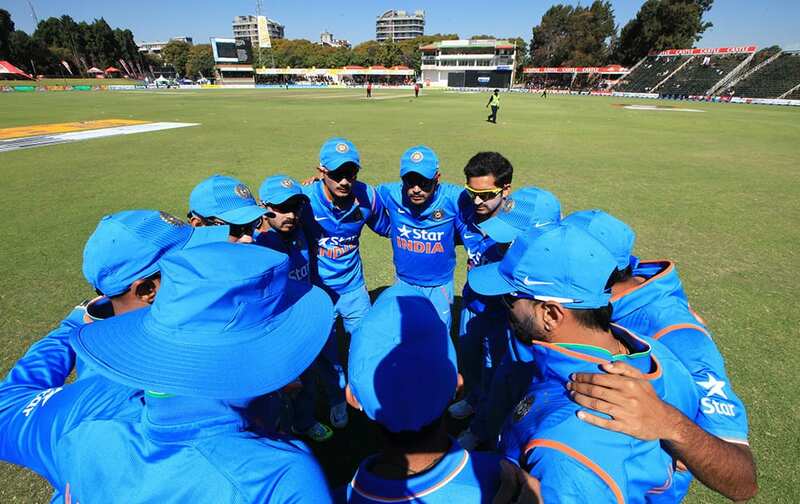 Indian cricket players huddle together before going on to the pitch for their One Day International cricket match against Zimbabwe in Harare, Zimbabwe. 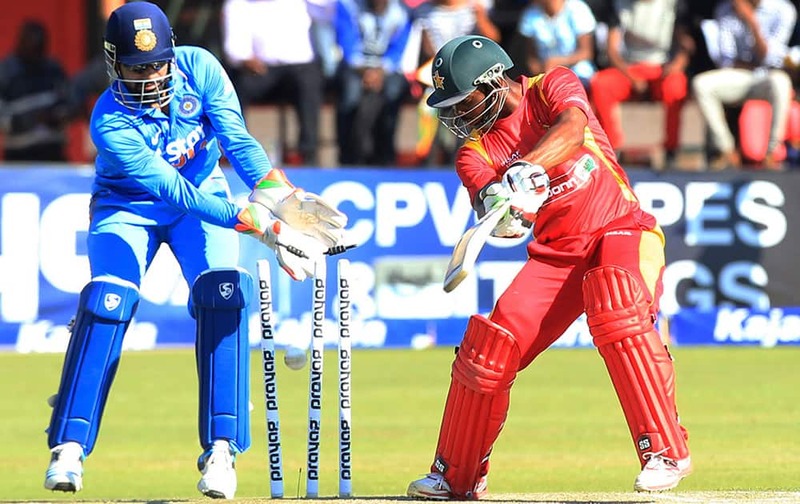 Manish Pandey plays a shot as Zimbabwean wicketkeeper fails to stop the ball during the third One Day International cricket match against Zimbabwe in Harare, Zimbabwe. 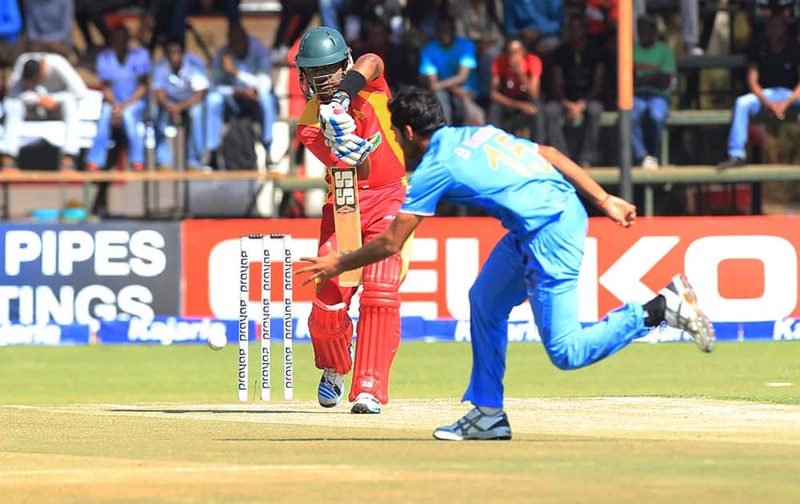 Manish Pandey and Kedar Jadhav touch gloves during the third One Day International cricket match against Zimbabwe in Harare, Zimbabwe. 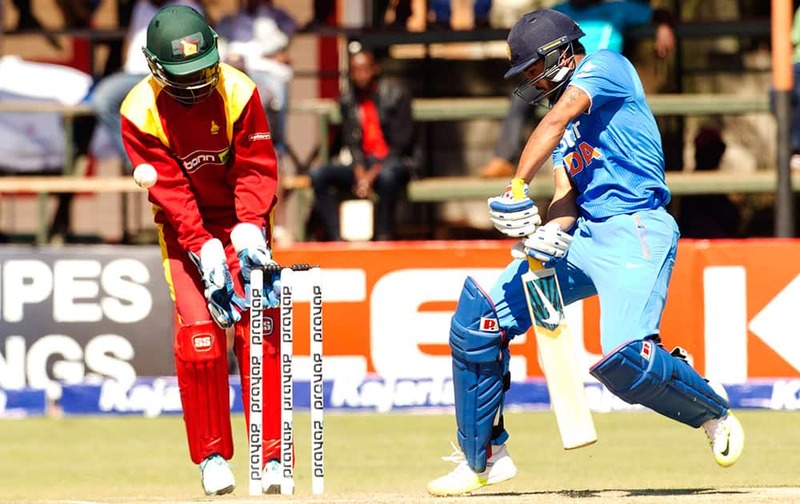 Manish Pandey plays a shot as Zimbabwean wicketkeeper prepares to catch the ball during the third One Day International cricket match against Zimbabwe in Harare, Zimbabwe.